South Korea said a total of 35,000 tons of North Korean coal and pig iron worth US$5.8 million illegally entered its ports last year, in possible violations of UN sanctions. 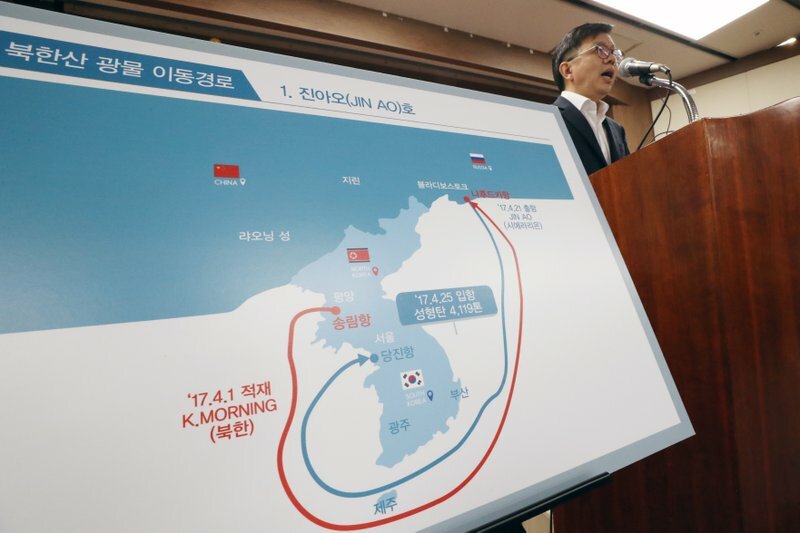 The finding comes as South Korean President Moon Jae-in’s administration pursues detente with the North. Hopes are high for economic cooperation and investment in North Korea once sanctions are lifted. Despite burgeoning diplomatic efforts to disarm North Korea, the international community has maintained maximum pressure on the North. North Korea has chafed at U.S. insistence that no sanctions be eased until Pyongyang’s disarms its nuclear weapons.